Pre-heat the oven to 350F. Prepare the greasing pan by applying oil and flouring it. In a bowl, sift together flour, baking powder, baking soda, cinnamon powder and salt and keep it aside. Then in another bowl, mix yogurt and sugar well, then add oil and vanilla extract and mix well. To this add the mashed bananas and mix well. Now add the flour mixture little by little to this and mix till they are fully blended. Then add the milk and the chopped almonds and mix well. 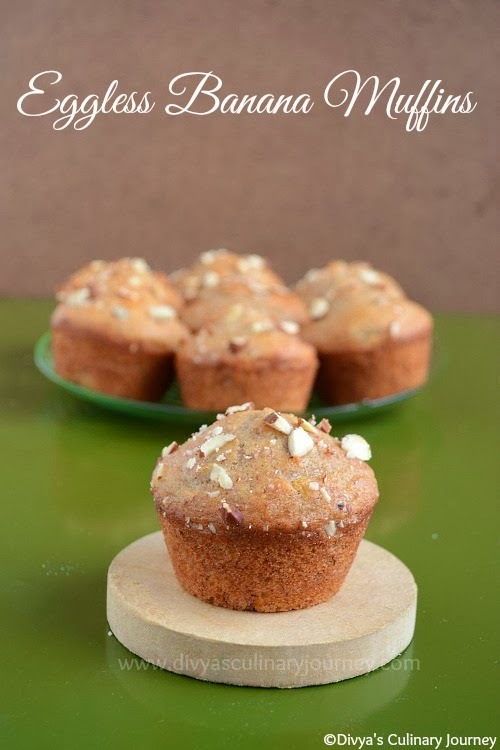 (reserve some almonds/nuts to sprinkle on top of the muffins. Then remove from the oven let it cool and remove from the pan. You can use cupcake liners for lining the muffin pan instead of applying oil and flour. Instead of almonds any other nut of your choice can by used. Baking time is very important. Take care not to over bake the muffins. Then they will be dry. 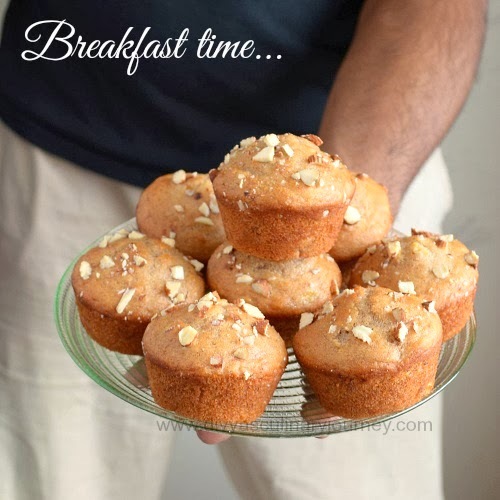 Muffins look too good and beautiful clicks Divya.. Superb recipe and look at those pretty cupcakes ! feel to grab from screen. awesome clicks as well moist cupcakes too. 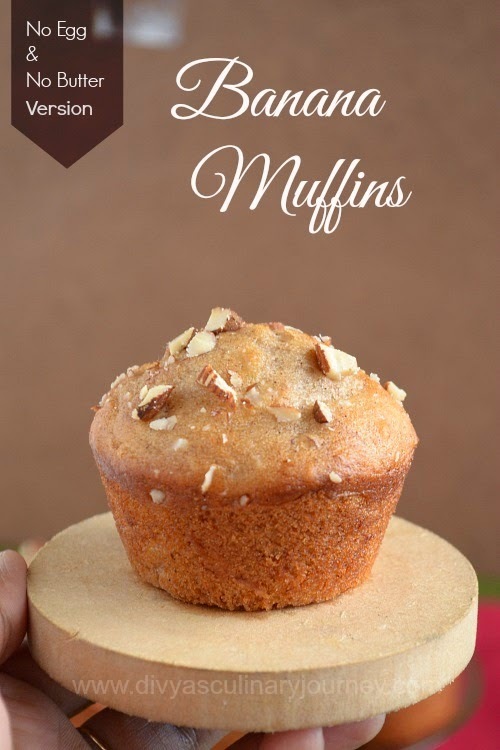 Yummy and tasty muffins. .